Denver Comic Con is going to be here any day now (May 23-25, specifically), and the con is shaping up to be fantastic. I’ve already told y’all about the official beer of Denver Comic Con this year, Hulk’s Mash, and the con just released news of the comic book publishers who will be at the con this year. I’ve gotta be honest, it’s an impressive lineup! DCC and Pop Culture Classroom (check PCC out if you haven’t, they are an awesome non-profit that uses pop culture to help bring literacy, learning, and character development to kids) announced today that con-goers can expect to see Action Lab, Avatar Press, BOOM! Studios, DC Comics, Oni Press, Valiant, and Zenoscope Entertainment at the con this year. Denver Comic Con has grown into a full-blown pop-culture convention, but comics are at the beating heart of Pop Culture Classroom. So many of us grew up reading Superman and Batman comic books. We were more than entertained—we learned to read, and learned about societal issues through the metaphors in those compelling stories. All of the publishers will have a presence on the convention floor, obviously, but some will also bring in creators to interact with con attendees, and others will give a glimpse into the craft of comics in various education panels. To get a bit more specific, Action Lab–who is a publisher of all-age comics, and a huge supporter of Pop Culture Classroom–will be representing the PCC love at the con this year. The first issue of their award-winning comic “Priceless” is a part of the PCC curriculum for “Storytelling Through Comics”, and PCC will be making their curriculum available on their website in the days leading up to the con. Avatar’s booth will feature writers Max Brooks and Kieren Gillen, and artist Jacen Burrows. BOOM! is bringing illustrators Evan Palmer, Carey Pietsch, Liz Prince, and Ian McGinty. Oni Press will be represented by comic creator Jhnonen Vasquez and Valiant will be represented by artist David Baron. Zenoscope will be exhibiting on the convention floor. DC is featuring Dan Jurgens at its booth, as well as a number of other creators. Jurgens and DC Comics will also have extensive involvement in panel programming over the course of the weekend, including “DC Entertainment – All Access” with Amanda Conner, Garth Ennis, Van Jensen, Dan Jurgens and Jimmy Palmiotti; “DC Comics – Batman” with Becky Cloonan, Amanda Conner, Jeremy Haun, Dan Jurgens and Jimmy Palmiotti; and “DC Entertainment – Master Class: Art History” with Art Baltazar, Becky Cloonan, Jeremy Haun and Dan Jurgens. 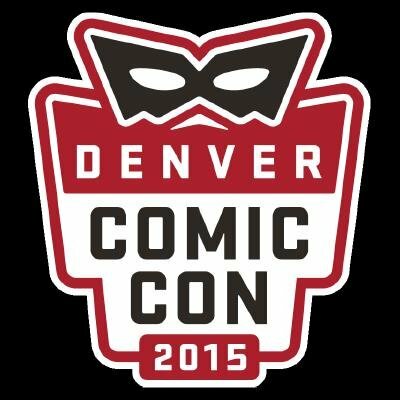 I am so excited about Denver Comic Con this year! May 23 cannot get here quickly enough! Are you going to Denver Comic Con (if so, you should definitely buy your tickets if you haven’t already–they’re going fast)? Let me know what your DCC plans are, and even if you aren’t going to DCC this year, let me know any of your other convention plans for 2015 in the comments! I am so excited for this years con! Denver finally has some presence! I know it’s going to be such a great con! !